Congratulations to the Penn Manor field hockey team, which is one win away from the state championship trophy! 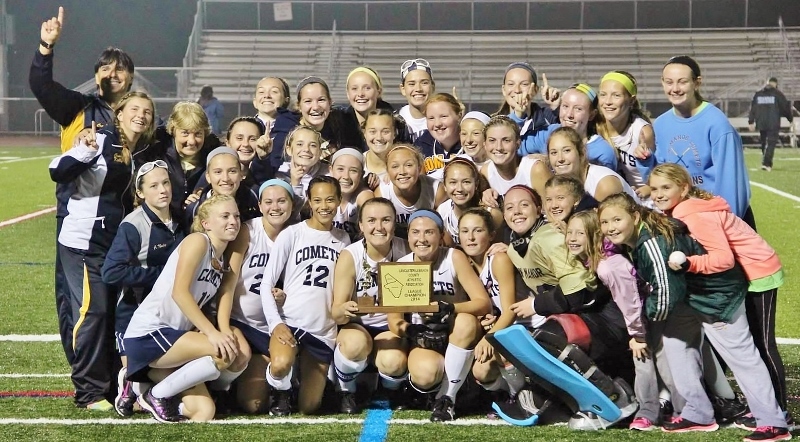 The Comets beat Central Bucks, 2-0, Tuesday and will play Palmyra High School Saturday for the AAA state field hockey title. The game is at 2 p.m. Saturday at Zephyr Sports Complex, Whitehall High School, near Allentown. The GPS address for school is 3800 Mechanicsville Road, Whitehall, PA 18052. Tickets will be sold at the gate at $8 for adults and $4 for students. Prior to the Comets-Palmyra game, the AA championship game (Crestwood vs. Villa Maria) will begin at noon.